Purchasing or selling a motorcycle requires a bill of sale to make the purchase or sale official and legal. 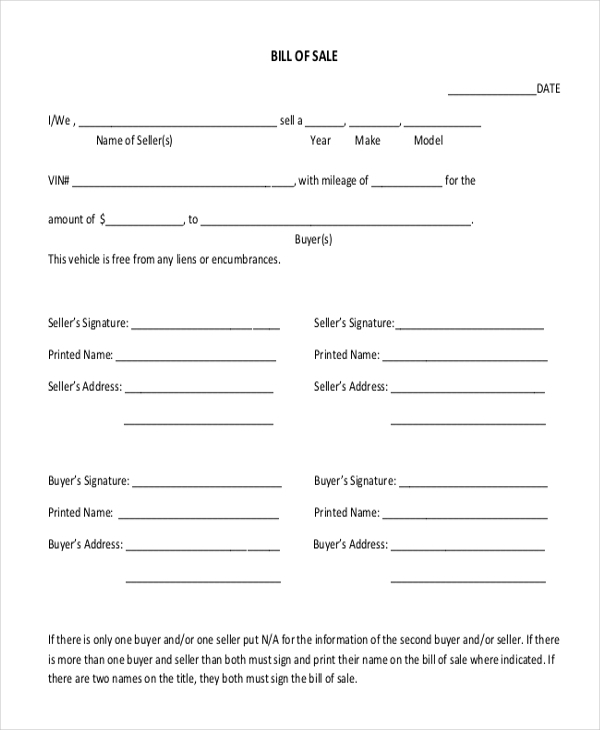 This form serves as a necessary record information that includes the date of sale, price of the motorcycle, vehicle information, name and address of both the buyer and seller. The bill of sales can be used by both the motorcycle distributors and individuals who decide to sell their used motorcycle. Give below is a list of Bill of Sale Forms samples that you can use for your purpose. Motorcycle Bill of Sale Form is a smart choice for the distributors as well as the individuals. 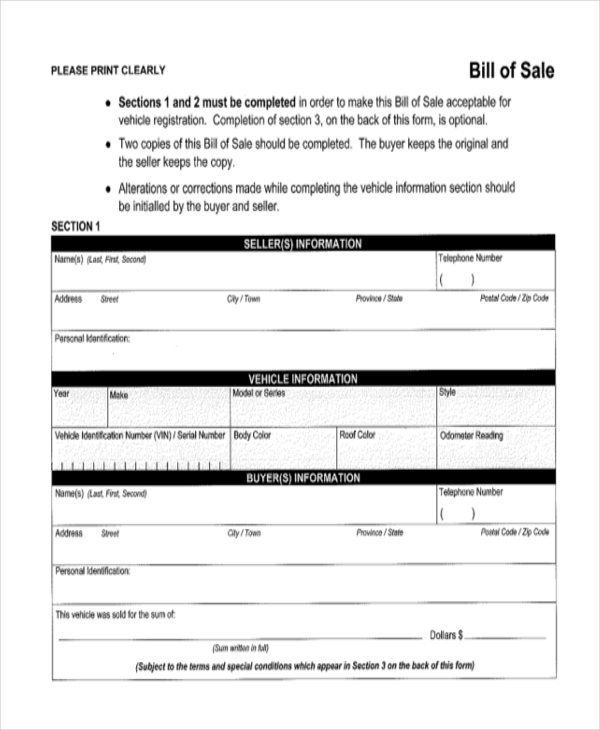 This sample form covers all the necessary details that an authentic bill of sale should possess. You may also see Blank Bill of Sale Forms. 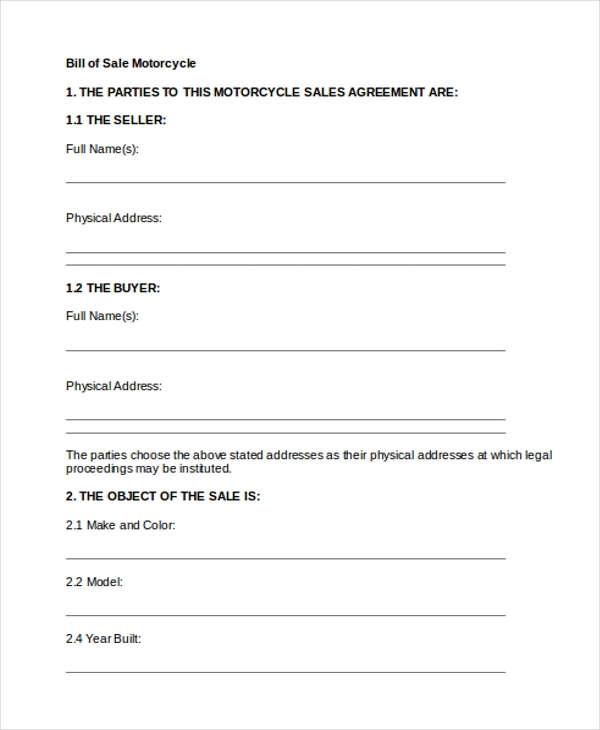 Motorcycle Bill of Sale in Word is a simple bill of sale form that can be used for any transaction that involves buying and selling of a motorcycle between a buyer and a seller. This sample form contains the details of the buyer and seller, transaction date, price and other such relevant information. Sample Motorcycle Bill of Sale is a sample bill of sale that will give you a clear idea about how a motorcycle bill of sale should be formatted. You can download this sample and use it for your purposes after making the necessary changes. Motorcycle Bill of Sale Example is a sample form through which you can create your motorcycle bill of sale in an effortless manner. It contains information of the buyer, seller, transaction date, price of the motorcycle. This bill of sale will act as a proof of the transaction that will be useful for both the buyer and seller. You can also see Simple Bill of Sale Forms. You can easily download this printable Motorcycle bill of sale and use it for your purpose. You can customize the form to suit the needs of your transaction and later take a print out and keep it as a proof of the transaction. This Blank Motorcycle Bill of sale form is easy to use and customize as per your requirement. This blank form contains all the necessary fields that you need to use to fill in with all the required information. You can even add further fields if you need to. It will save a lot of your time. 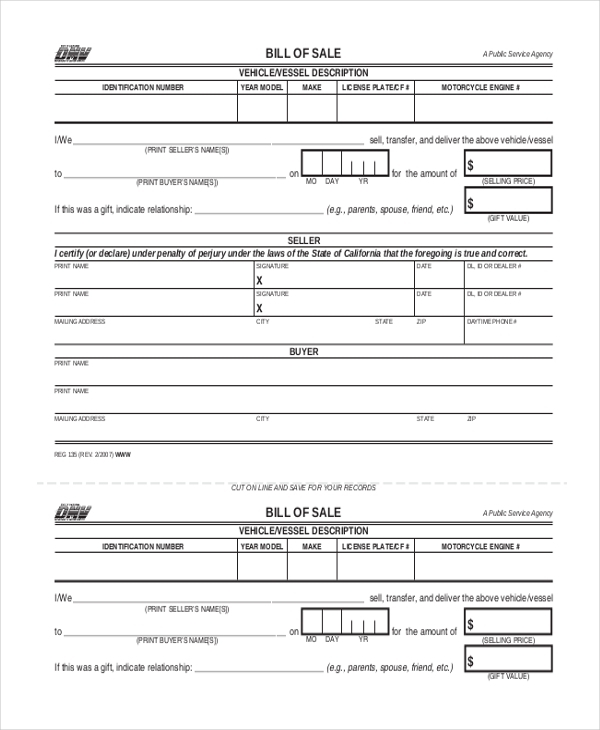 DMV Motorcycle Bill of Sale Form is available with a simple design and a nice layout. It contains all the required information of the buyer and seller like their names, address etc. You can edit this form as per your need. You can also check the Blank Bill of Sale Forms. You may also see Generic Bill of Sale Forms. What is the Importance of Motorcycle Bill of Sale Template? A bill of sale is very vital whenever you make any transaction, and it weighs equal importance for both the buyers and sellers. And a Motorcycle Bill of Sale is no exception. Whether you are a motorcycle distributor or an individual who wants to sell his used bike, both can be benefited by these bills of sale templates. By downloading these forms, you don’t have to worry about drafting a bill of sale from scratch. You can fill in the necessary details in the various available fields and ask the buyer to sign on it along with your signature. You can also see Sample Bill of Sale Forms. How to Use These Motorcycle Bill of Sale Templates? 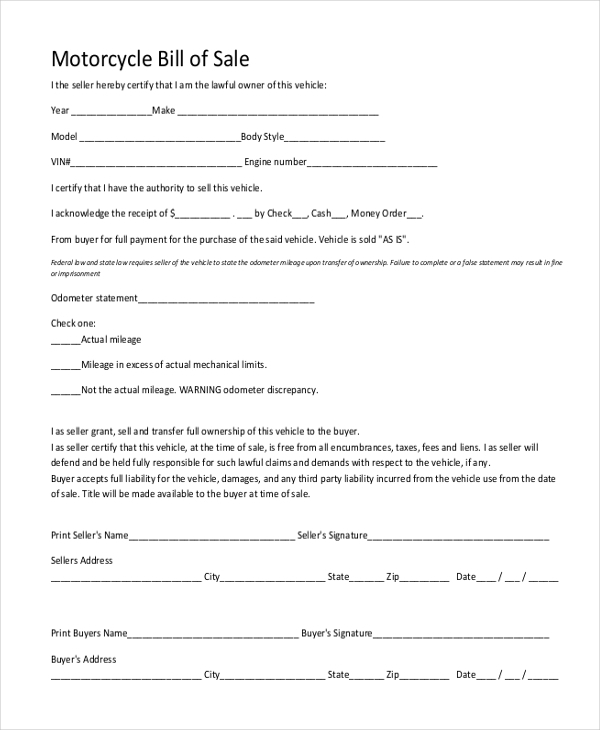 You can go through our vast collection of Motorcycle Bill of Sale forms to get the basic knowledge about how a good bill of sale should be formatted. You need to select for the bill of sale form that matches your requirement perfectly. Then you need to download the form which is available in MS Word and PDF file formats. After that, you can make changes in it as they are fully customizable forms. 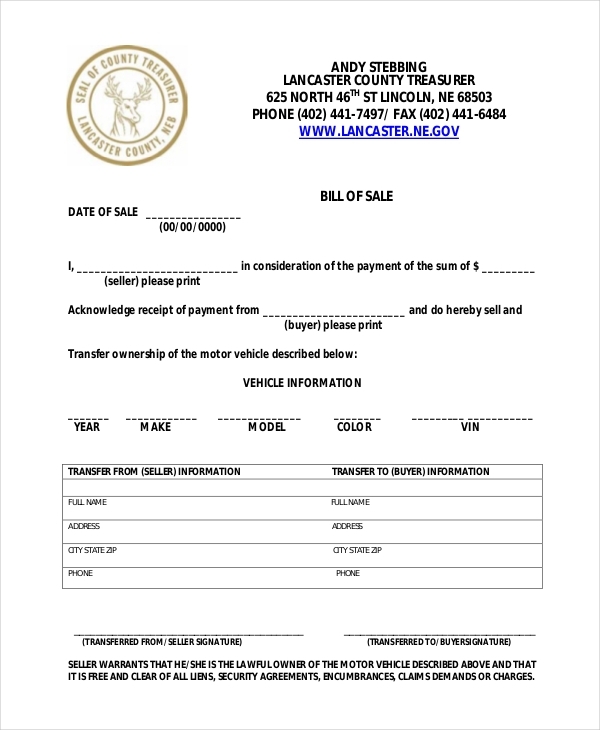 You can also see Sample DMV Bill of Sale Forms. You can add a new field or delete an existing one as per your preference and requirement. Then you need to put in all the information like the buyer’s name, seller’s name, vehicle information, transaction date, vehicle price, etc. Both the buyer and seller need to sign on it to make it an authentic document that will act as a proof of the transaction. A proper billing will save you from many hassles and later on you can avoid any technical and legal problems too. The forms as mentioned above are created by our team of experts who have crafted them after a thorough research, and these templates will serve your purpose perfectly. 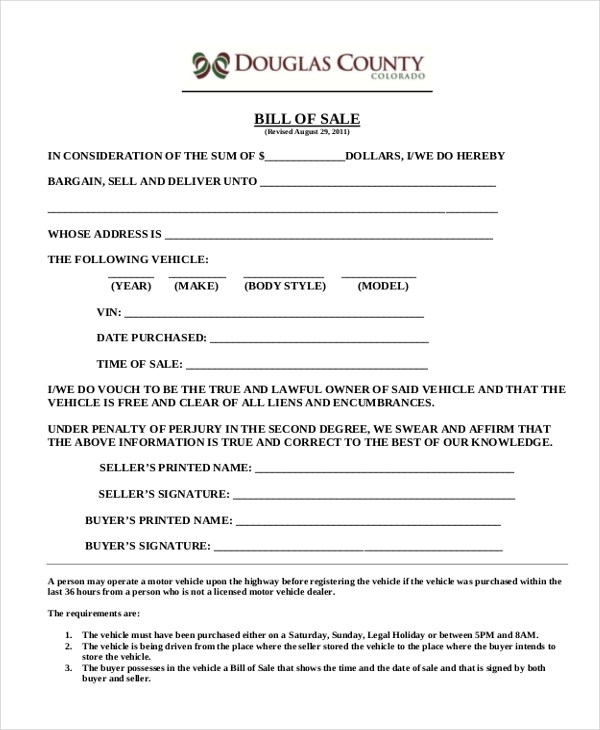 You can also see the Printable Bill of Sale Forms.